This week I was in the knitted sweater mood. I wore a burnt orange sweater dress (with a blazer- not pictured), a peach knitted pullover, and a gray knitted sweater vest. Needless to say, I was warm and toasty all week. 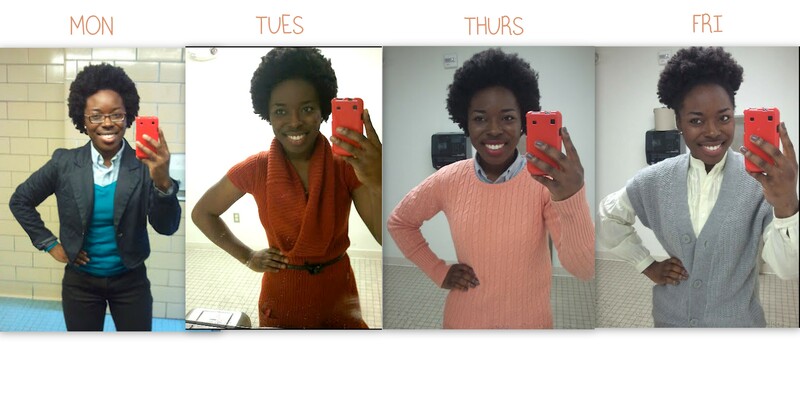 My favorite outfit of the week was Thursday! It was comfortable and cozy. The color was great!